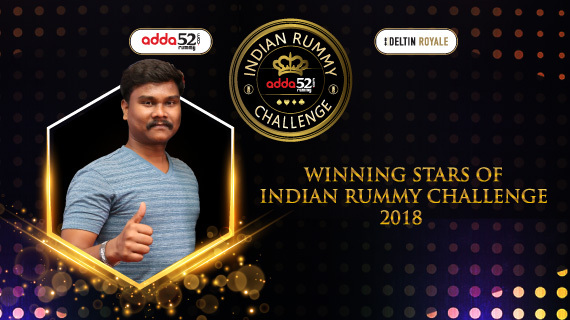 Adda52 Rummy organised Indian Rummy Challenge, 2018 and are excited to announce the winners of spectacular event! July 2018 edition of India’s most celebrated live rummy event – Indian Rummy Challenge – was held on 14th and 15th July, 2018 aboard Deltin Royale in Goa. The battle on the game table was fierce and the competition was intense but in the end, Prakash Raja came out on top to take down the Champions title. Rummy lovers from all over the country participated in the event to compete against each other for their share from the enormous total prize pool worth Rs. 25,00,000. The Main Event final was attended by 130 players who qualified, before being whittled down to six who reached the final table. Despite the tough competition, Prakash Raja managed to navigate his way through the field of remaining 5 competitors to reach the top spot. He netted a staggering Rs. 15 Lac for winning the tournament. The 2nd finisher is Yandluri Sreenivasulu who took home Rs. 5 Lac. Here is the list of players who reached IRC final table. Name Position Prize in Rs. Deltin Royale – India’s largest offshore floating cruise ship anchored in Mandovi river in Panjim, Goa – once again played host to this 2-day extravaganza. Deltin Royale is considered as one of the finest gaming destinations of the country. It is open 24×7 and hosts a variety of major offline card game tournaments throughout the year. Participants earned seats to the IRC Main Event through satellite competitions on Adda52 Rummy. 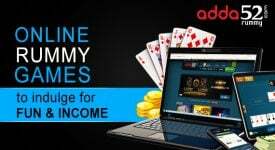 The website hosted Super & Turbo satellite tournaments for rummy fanatics to participate and get the ticket to IRC Daily Qualifiers with the minimal buy-ins of just Rs. 100 and Rs. 30 respectively. The winners of Super Satellites & Turbo Satellites then participated in Daily Qualifiers and the top finishers got the ticket to play the live main event in Goa. The website also provided the option to participate in Daily Qualifiers without playing satellites by paying Rs. 2500 entry fee. 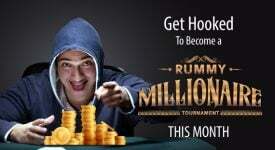 The Indian Rummy Challenge tournament is one of the most well structured and balanced rummy tournaments in India. What makes the tournament more special is there is no need to pay huge buy-ins to join. 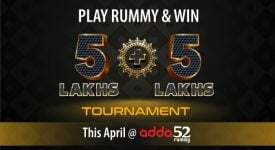 Players can win the chance to enter the event by participating in the satellite tournaments on Adda52 Rummy. The popularity of rummy is gradually increasing in India which is evident by the overwhelming success of the recent edition of IRC. 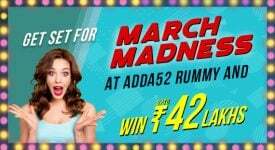 The event witnessed massive participation of professional players as well as amateurs of different ages, which made it one of the most successful endeavors of Adda52 Rummy.